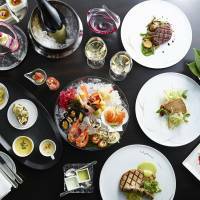 A Dom Perignon brunch is held at Peter every Sunday. The Blooming Afternoon Tea is served until June 30 at The Lobby. 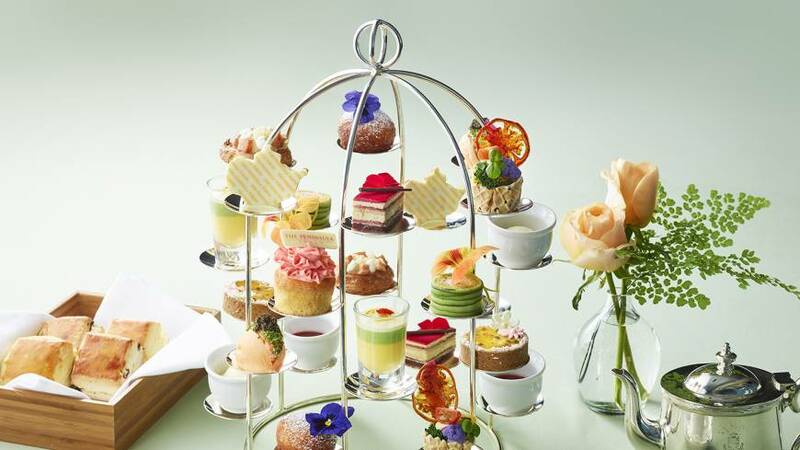 Located at the center of Tokyo’s Marunouchi business district, The Peninsula Tokyo is offering spring delights featuring the hotel’s stylish Blooming Afternoon Tea, free-flowing Dom Perignon brunch, Japanese craft beer and lavish skin care treatments. Peter, the hotel’s exquisite grill restaurant, holds a Dom Perignon brunch every Sunday from 11:30 a.m. to 3 p.m. (last order). 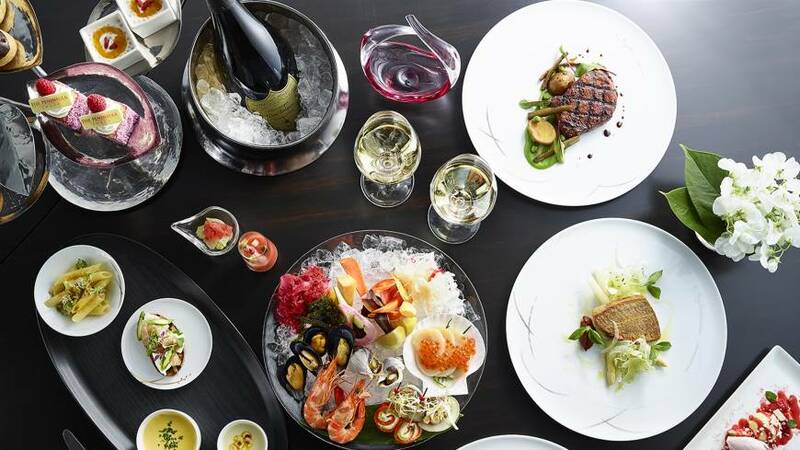 Priced at ¥12,000 per person, free-flowing Dom Perignon Champagne abounds. There is also the regular brunch with coffee or tea at ¥6,700. A selection of cocktails such as salty dogs, Moscow mules, and Negronis using Japanese herbs (priced from ¥1,900 to ¥2,200) are other ways to complement the bubbly. 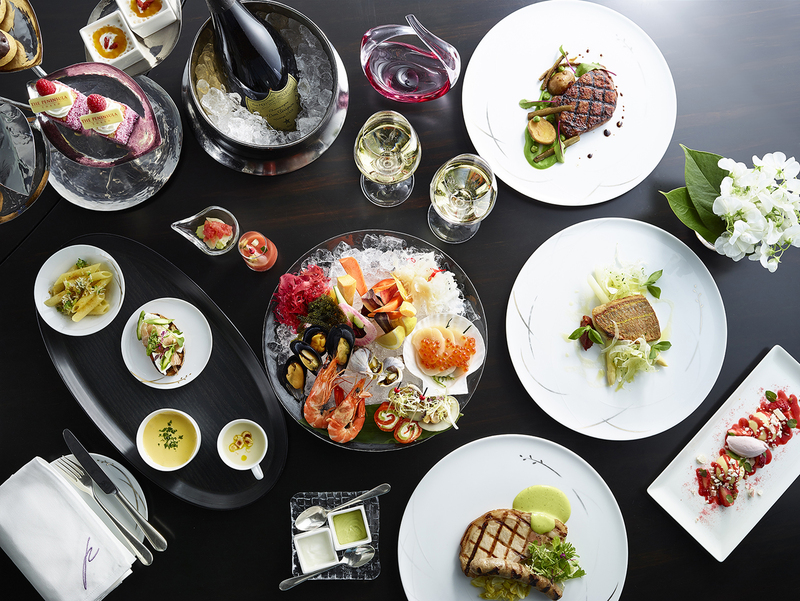 Servers bring a spread of seafood delivered straight from Tsukiji fish market that is followed by a main dish of meat or fish incorporating the best of the season. An original dessert plate rounds out the gorgeous brunch. 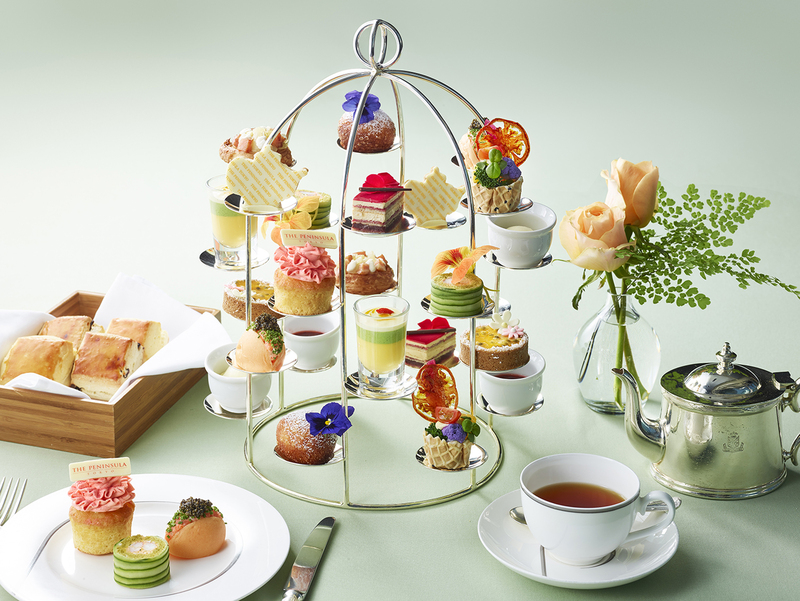 Over at The Lobby, Blooming Afternoon Tea is served at ¥5,000 per person until June 30. This eye-catching order can be enjoyed with Peninsula’s original blend of black tea, or a selection of organic teas. 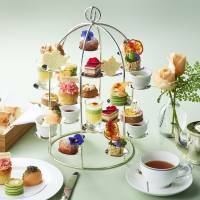 The afternoon tea, inspired by a garden in full bloom, serves savory and sweet delicacies, handmade scones being among them. It’s an afternoon of elegance, complete with live music wafting from the balcony above. Additionally, The Peninsula Boutique & Cafe at Naka-dori will host a Japanese craft beer pop-up from June 1 to Aug. 31. The cafe will have seven exceptional craft beers, including Kagua Blanc and Rouge; a pilsner, pale ale and stout from Peter; Suruga Bay Imperial IPA and Shuzenji Heritage Helles (between ¥1,200 and ¥1,500 per glass). All prices exclude tax and a 15 percent service charge. Guests can conclude their spring getaway at The Peninsula Spa, located on the sixth floor. An oasis among the bustling streets of Marunouchi, the spa is filled with lavish amenities that will surely meet every guest’s needs. Margy’s Monte Carlo luxury facials, as well as foot and hand treatments, are available at Pedi:Mani:Cure Studio that was created by French podiatrist Bastien Gonzalez.